When children get injured or become ill, parents can (and often do) head straight to the web to research a potential remedy or course of action. But herbal products and other treatments not prescribed by a doctor can pose a health risk. Still, a new report from the American Academy of Pediatrics (AAP) shows parents often try unconventional treatments -- and many don’t tell their child’s doctor about it. 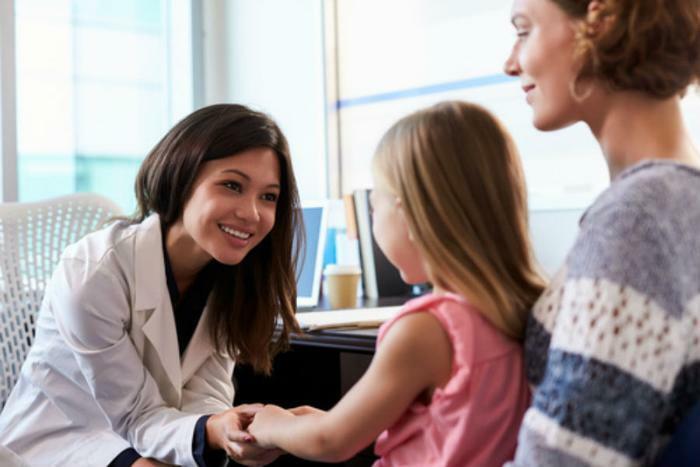 Refraining from telling your child’s pediatrician about ‘complementary’ therapy use could be especially hazardous if your child is already taking traditional prescription medications, the report authors warn. Complementary and alternative medicine refers to treatments that are not considered part of traditional Western medicine, such as herbal remedies, dietary supplements, acupuncture, or homeopathy. "The point we're making in this report is that many of our young patients are already using these [complementary] therapies," said lead author Dr. Hilary McClafferty. "And much of that use is driven by the consumer, by parents looking for additional help for their children. As more parents consult Google or ask social media instead of calling their child’s doctor, therapies like these have become more widely used. More than 1 in 10 U.S. children, and more than half of kids with chronic medical conditions, have used complementary and alternative medicine, according to federal statistics from 2012. The researchers say it’s important for parents to know the potential risks of complementary and alternative medicines, especially if they are going to use them on their children. Parents should know most alternative treatments are poorly regulated by the FDA because they are classified as “food” rather than a medicine. Additionally, mixing supplements with prescription medication can weaken or strengthen a prescription drug’s impact, the study authors explained. While acupuncture, meditation, and yoga have a large body of evidence to support their efficacy, supplements and other complementary treatments often do not and should be discussed with a doctor, said Lorenzo Cohen, director of the integrative medicine program at MD Anderson Cancer Center. "Discussing all this needs to be part of the standard of care in terms of dialogues between informed physicians and parents,” Cohen said. “The days are over where physicians can just say, 'Well, I don't know much about it.' They need to find out, and they need to talk about it with their patients." The full report, “Pediatric Integrative Medicine,” has been published online in the journal Pediatrics.